Driven with perfection, we are engaged in catering to the variegated demands of the customers by bringing forth an array of Chemical & Pharmaceutical Equipment. The array offered by us incorporates Heat Exchanger, Rotary Vacuum Drier, Chemical Process Equipment, Industrial Crystallizers and many more. Our range is manufactured in line with the universally accepted norms & standards by employing superior-grade components and advanced machinery. Further, the range is thoroughly tested on varied parameters to assure flawlessness & zero-defect. With rich industry exposure and customized fabrication, we are a name of repute in the industry engaged in manufacturing and exporting a wide variety of products. Our products are specifically improvised as per client's requirements. 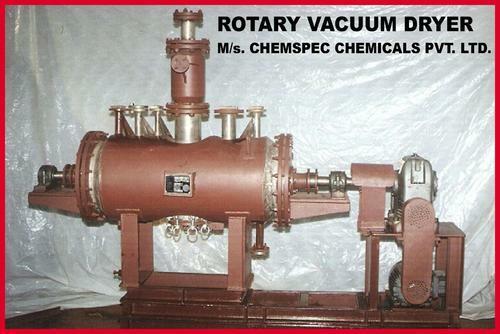 Our range of products consists of Cartridge Filter, Condensers, Storage Tank, Heat Exchanger, Rotary Vacuum Dryer, Flakers, Pilot Plant Reactors, Planetary Mixer, Rotor Shafts, Effluent Treatment Plant, Equipment and Scrubber. We fabricate products using suitable technology to ensure consistency in quality, even at the production level. In addition, we also offer variety of services to keep our clients at ease. Owing to enhanced infrastructure facility equipped with latest machinery, best business practices, enhanced warehousing, we have been able to deliver quality products to our clients. We follow client-centric approach in our operations, striving hard to fulfill expectations of clients and gaining their confidence. As a value addition, we also provide various distinguished services to our clients. With consistent efforts of our dedicated team, we have been ably designing and fabricating equipment that includes structural fabrication, piping, site storage tanks, erection & other related works. Lead bonding, FRP lining, acid proof brick lining, rubber lining etc. are also undertaken at our organization.